Is anyone often overwhelmed by the amount of choices at the grocery store now? I personally don't mind spending hours browsing the aisles of the grocery store, but life doesn't really allow this. I have to go in with a list or I'm left disoriented by the number of options for my dietary needs. I ask this question as I sit with a box of Chocolate Chip Teddy Grahams next to me. I used to love finding these in my lunches as a kid, particularly the chocolate variety. I haven't had them in years, but I saw them on sale over the weekend and decided to bite. I was horrified though to discover Nabisco now offers a strawberry banana flavor. Really? How unnecessary. I love this flavor combination, but lets keep it within its domain. There is no need to artificially flavor graham crackers with this fruity taste. Elth. Just sounds so gross. Anyway, while I was in the processed snack food section, I decided to peruse the area. Do you know how many varieties of Oreos there are now? Tons. And no fruity flavors. The Oreo expansion is something I solidly support. And this chocolate chip skillet cookie is something I definitely support. I've always loved cookie cake and while this isn't quite the same thing, it's quite delicious. Here is a giant thick chocolate chip cookie in cake form. This is a good idea. Adding a scoop of ice cream to it is an even better one. 1. Preheat oven to 375 degrees. Whisk together dry ingredients in a large bowl and set aside. Whisk together the sugars in a small bowl and set aside. 2. Heat your butter over medium heat in a non-stick skillet until melted. Continue stirring the butter until it's golden brown and has a nutty aroma. Watch constantly until you begin to see brown specs at the bottom of the skillet. Remove from heat and let cool. 3. Once butter has cooled, whisk into sugar mixture with vanilla. Add in egg and yolk and whisk until no sugar lumps remain. Stir in flour mixture until just combined then fold in chocolate chips (reserve a about 20). 4. Transfer dough to a 12 inch cast iron skillet. Evenly spread the dough with a spatula. Dot the dough with remaining chocolate chips. Bake until cookie is golden brown, about 20-25 minutes. Keep an eye on cookie while it bakes and use the toothpick test to determine if center is set. Let cookie cool completely on a wire rack before slicing to serve. Wrap cookie slices in foil for storage. Cake batter ice cream and I go way back. Back to my high school days. Which seem foreverrrr ago now. Which is fine by me. Well, I actually must preface my previous statement about our history together because it doesn't involve just any cake batter ice cream, but Cold Stone Creamery's. Oh my lord, I love Cold Stone. Sidebar, if you're one of those people who adds an "s" to the end, then I implore you to please stop. A major pet peeve of mine is adding an "s" to words. So bothersome. Cold Stone was a regular spot for my high school friends and I. We didn't really partake in the party scene during high school. A shocker, I know. No, my dear friends and I could be found indulging in massive portions of gluttonous ice cream on a Friday night. My sweet friend Anna always ordered the "Gotta Have It." She's the best. Anyway, without fail, I always ordered their cake batter ice cream with rainbow sprinkles. I don't know why, but I never ventured outside of my standard order. I just loved this flavor so much and nothing else would satiate my ice cream needs. This ice cream actually became my secret weapon to swimming fast at finals during swim competitions. Most athletes fuel up on power bars, quick breads, fruits, and other energy packed foods, but I responded well to an extreme sugar high. My sweet mother would run out while I was napping in between sessions to grab me cake batter ice cream (with sprinkles) to go. She's the best, too. So, this ice cream may not be the same as my favorite ice cream chain's, but it is quite a contender. Not only is it a chocolate version, but it's so easy to make. All of the ingredients are mixed in a blender and then you simply pour it into your ice cream maker. So quick and so delicious. What foods conjure about specific memories for you? My list is super extensive, but cake batter ice cream has a particular soft spot in my heart. 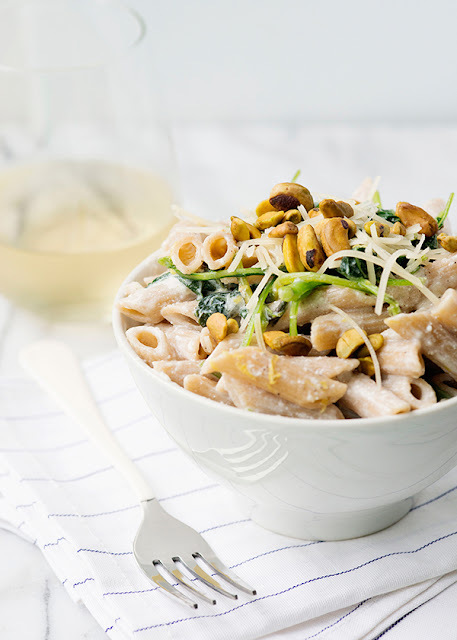 Churn this up friends! Here is your solution to fighting the dog days of summer. Ok, so maybe cake isn't the first thing you'll want to reach for when coming inside from the heat, but I know you'll want a piece of this! Are you supposed to refrigerate cake after serving? I'm not sure if there's an unspoken rule, but this seems to be the case with any leftover cake I've had the pleasure of eating. I personally love cold cake. The frosting thickens and fuses itself to the cake layers to form a richer, heavier, more delicious treat. This cake is rich and thick on its own, so the time it takes to chill in the refrigerator only makes the chocolate flavor deeper and texture more fudgy. My will power was pretty pathetic during the photographing of this dessert. I first had a piece for quality assurance. Once determining that this recipe was a success, I cut another piece to stage for photos. See above. Then I ate that piece. Repeat. I finally decided that this cake looked best while being eaten, so that's what today's post is all about, me enjoying this decadent chocolate dessert. And enjoy it I did. A lengthy run ensued shortly thereafter. So worth it. 1. Preheat oven to 350 degrees. Grease an 8x11 baking pan with cooking spray and set aside. In a medium bowl, whisk together dry ingredients and set aside. In a large bowl beat together butter and sugar until light and fluffy. Add eggs one at a time and beat until incorporated then beat in vanilla. Stir in sour cream until combined. Stir in flour mixture until just combined. Pour into prepared baking pan and evenly spread with spatula. Bake 30-35 minutes, or until toothpick comes out clean. 2. While cake is baking, make your frosting. Place heavy cream in microwave safe bowl and microwave until comes to a rolling boil. Remove from microwave and stir in chopped chocolate until fully melted. Whisk in sugar and coca powder until completely smooth. Refrigerate frosting for at least an hour. 3. Once your cake is completely cooled, frost cake with chilled frosting and refrigerate for at least a few hours. Serve cold. Enjoy! If there's one thing that I can't resist off of the dessert menu when dining out, it's a hot fudge brownie sundae. Actually, I'm not really sure that statement is true, as I'm always able to find something to order on the dessert menu, but what I'm getting at is that I really love hot fudge brownie sundaes. Of course, I enjoy both ice cream and brownies well on their own, but when they compliment each other so perfectly, why not always enjoy the two together? Ice cream cupcakes isn't a novel idea. I've heard about them for a while now and made mental notes to create my own homemade version, but it became one of those recipes that gets forgotten about. Sometimes I find myself rummaging through my pinterest boards in search of a new recipe, but I'm so overwhelmed by the volume of recipes I've accumulated that I just go bake a batch of chocolate chip cookies. Or maybe it's because I've become so hungry that I can't take the time to learn a new recipe. Hm. In any case, after finally whipping together these decadent ice cream treats, I'm telling you that this recipe is not one to be missed! Oh my lord, these are so good. You have know idea what it was like photographing these cups of heavenly brownie ice cream bliss. They melt quickly so keep that in mind when deciding how/where to serve these. I believe that I had...five after ending the photo session. I couldn't control myself! My taste testers had little resolve to only eat one also, so I felt mildly better about my gluttony. These are the perfect summer treat and I can't wait to try more flavor combinations. I think Ben and Jerry's Chubby Hubby ice cream would be a splendid version. Mmm, so many possibilities! 1. Preheat oven to 350 degrees. Line muffin tin with liners or lightly grease with cooking spray. Prepare brownie batter as directed on the back of the box. Spoon two tablespoons of batter into muffin cups. Bake 8-10 minutes, or until batter is just set. Remove and let cool completely. 2. While cupcakes are cooling, let ice cream soften on the counter. Once cupcakes are cooled, add a scoop of ice cream to each cupcake and even spread with a spoon. Place cupcakes in freezer for a few hours. 3. When ready to serve, remove from freezer and quickly add whipped topping to cupcakes. Drizzle with chocolate syrup and/or garnish with sprinkles. Did you all know that tomorrow is National Cheesecake Day? Most likely not, so I'm happy to inform you of this occasion. I only relay the important information. When I first heard about this holiday, I realized that it was the perfect opportunity to break in my springform pan. I'm not sure if it was received as a wedding gift, or if I used a wedding gift card to purchase it, but this pan has been sitting in my cabinet taunting me for ages. It was definitely time that I truly embrace my housewife status and churn out a cheesecake, so that's precisely what I did on Friday night, as seen on instagram. We had to leave early on Saturday for a wedding in Philly, so I was unable to photograph this beauty until yesterday. Unfortunately, it was just a bad day for photography. All of the elements were against me. Bad lighting, low camera battery, poor camera cooperation with focusing, I was hungry. Very frustrating. These photos are definitely not to my satisfaction, but this cheesecake was too delicious not to share. I tried to replicate Cheesecake Factory's presentation by adding a whipped frosting and oreo garnish. I think it adds a little pizazz. A thick oreo crust serves as the base for a thick creamy cheesecake filling with pieces of oreo chunks enjoyed in each bite. This dessert is so decadent, but worth every calorie, if you're concerned about that sort of thing. The recipe couldn't be an easier either, so no excuses! Bust out your spring form pan and bake yourself a cheesecake. If you don't have this kind of pan, then an 8x8 baking pan or even a 9x13 pan will suffice. Happy National Cheesecake Day! Hello, hello. This week was an odd one. It felt slow and quick at the same time. The majority of my department was in systems training all week so there was a quiet vibe in the office and the week just felt off. Not to mention the bizarre but delightful weather that blew in yesterday. No humidity, no steamy air. Just a cool clean breeze. I'm quite ready to say goodbye to summer, but not before my trip to Cape Cod next month! Not much on the agenda this weekend, so on to my favorite finds from this week! 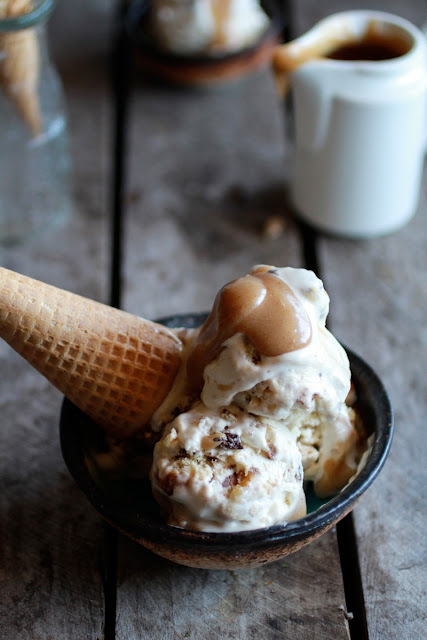 Favorite indulgence: Chocolate Chip Stuffed Cinnamon Roll Ice Cream. I've visited a considerable amount of ice creameries in my 26 years of life and no one has ever offered this incredible ice cream flavor. Now that I've tackled making homemade ice cream, I'lll attempt to bake cinnamon rolls with the sole purpose of churning them in ice cream. Hm, maybe I'll start out with Pillsbury rolls to expedite getting this treat into my mouth. Favorite look: Turquoise and Purple. My family and friends know that I'm obsessed with Kelly Ripa. I've been watching her for the last 12 years since she joined Live With Regis and Kelly. She can do no wrong in my eyes and this outfit is no exception. She looks phenomenal every day, but this look she wore on Wednesday caught my attention because I love the color combination. The colors don't translate as well when captured by my iphone camera, but I think it's a lovely color scheme. The beaded necklace is a cute accent piece as well. Favorite meal: Kale and Ricotta Pasta. I confess that I've never had kale. It's such a trendy veggie now, so I'm surprised that I still haven't attempted incorporating it into one of our dinners or at the least ordering it off of the menu. I think that this is a good starter meal to introduce kale into my life. Creamy pasta? Yes, please. Favorite decor: Floor to Ceiling Glass Windows. I've loved floor to ceiling windows since seeing them for the first time in my wedding hotel suite. 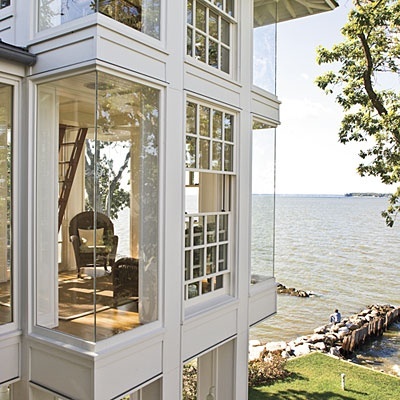 I'm not sure how well they work in a traditional home, but should I ever be able to purchase a home on the lake such as this, then I will request this feature. 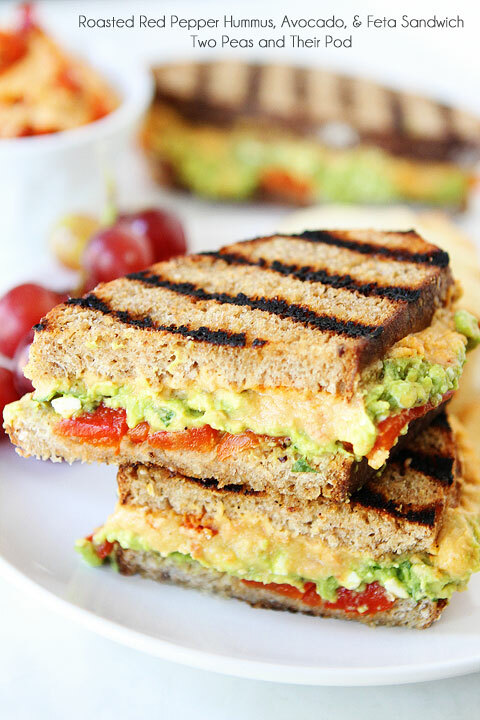 Favorite Grill: Grilled Roasted Red Pepper Hummus Avocado Feta Sandwich. The avocado kick continues. I actually have been making myself a lunch similar to this one this week. Amazing flavor combinations happening between two pieces of grilled bread. 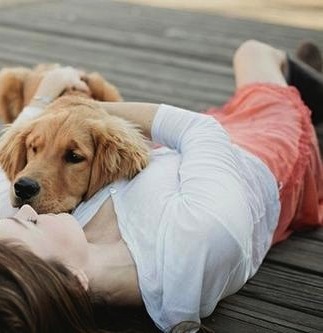 Favorite pup: Cuddle Pup. What a face. Dogs are such natural cuddlers and I wish I had one to nuzzle up against me on the couch right now. Favorite sweet: Mississippi Mud Brownies. Have you ever heard of these decadent treats? I've seen recipes for this in cake form, but brownies seem more up my alley because the richer the better. 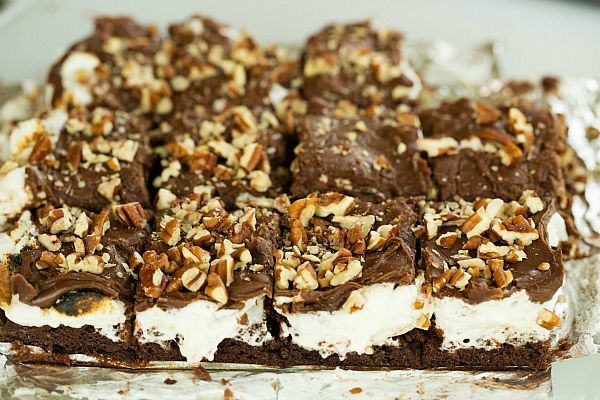 Chewy brownies are topped with marshmallows then a fudge frosting and sprinkled with pecans. I don't know if I could stop myself from devouring the entire pan. No, I know that I couldn't. 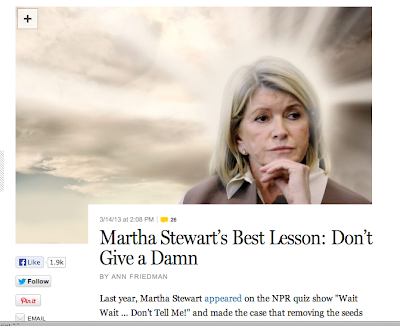 Favorite read: Martha Stewart's Best Advice. This read is a little lengthy, but it's a really interesting, funny and smart analysis of her career. Favorite Photo: Three Peas in a Royal Pod. As mentioned in my post about No Bake Reese's Peanut Butter Bars, I followed along during the Royal Baby Watch. I hope you watched the video footage of them first leaving the hospital with their little peanut.They were so cute and endearing and I just love them. George though? Ugh, not pleased about that one. Favorite Bite: Blue Cheese Lobster Beignets with Spicy Avocado Cream Garden Veggie Sauce. Whew, that is a mouthful, but I love every word of it! 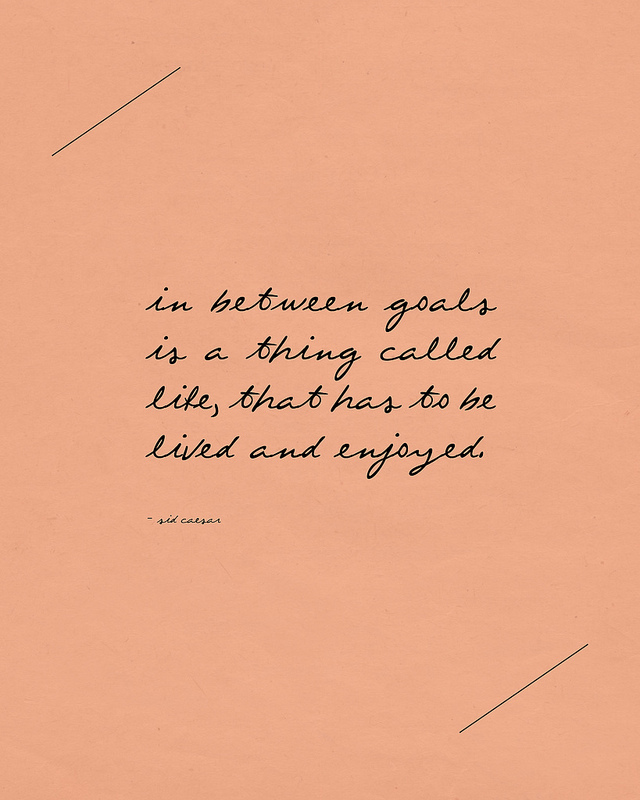 This concept comes from an amazing blogger who is only 19. How can someone so young create something as sophisticated and delicious as these divine morsels is beyond me. I'll never be excited over regular seafood appetizers again. Shrimp cocktail? Meh. 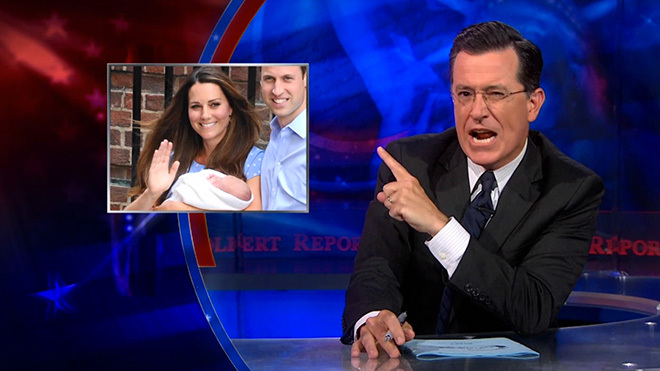 Favorite Funny: Stephen Colbert Mocks Royal Baby Coverage. Speaking of the royal baby, Stephen Colbert did a very funny segment on the media coverage. Click the gray hyperlink to watch the video. 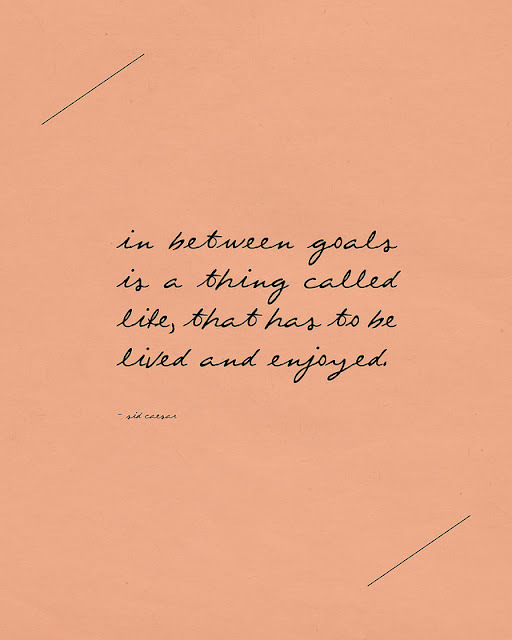 Favorite quote: Live Your Life. So true. My sister came home the other day with the largest zucchini I've ever seen. It was picked from my aunt's garden and hand delivered to me with instructions to bake something with it. I suppose that I could have been more creative when choosing what to make with it, but this seemed like an easy solution for an overgrown vegetable. I actually don't automatically associate zucchini with savory dishes. I think it's because I was introduced to zucchini in muffin form. My mother used to purchase the most delightful zucchini muffins from my favorite bakery, Publix. They were incredibly moist and sweet and a staple in my diet throughout high school. These muffins would come in packs of four and I recall easily finishing all four within 24 hours. Those were the days. I only recently introduced zucchini to my dinner plate after I discovered how delicious it is when it's properly seasoned and sautéed. I still, however, prefer my vegetables sugared and baked to perfection. This zucchini bread comes from the infamous blog Smitten Kitchen. You can always trust Deb to deliver a delicious recipe. This one is simple and quite tasty. I overbaked mine slightly because I went to the gym while it was in the oven and asked my husband to remove it from the oven once the timer beeped and use his judgment to determine whether it was done (foolish, I know). I recommend pulling your bread out around 50 minutes and using the toothpick test to see if it's ready. Enjoy!